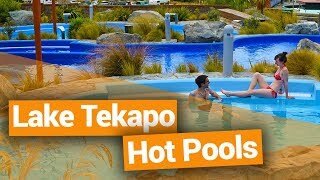 What are the best hot pools in New Zealand? 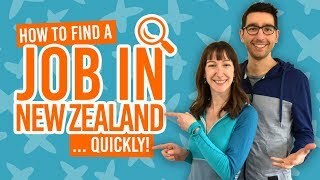 New Zealand has a bit of a reputation for full-on adventuring, hiking and adrenaline activities. But what about the “me” time? Where can you go in New Zealand to take a breather and unwind? The answer has been the same for centuries: the New Zealand hot pools. Geothermal spring water has been used since the early Maori for its therapeutic and health benefits. Today, New Zealand has many of these thermal pool complexes to enjoy these benefits in stunning environments. This list will go through some of the best and, quite frankly, damn relaxing hot pools in New Zealand! Hot pools in New Zealand often have multiple pools of different temperatures so you can find your ideal level of comfort. However, if you’re not afraid to get a bit dirty, take a look at some of the free natural hot pools in New Zealand too! Relax among the tussock lands and mountains of New Zealand’s highcountry. Hire your own private hot tub (or cold tub in summer) and unwind after a long drive, because, yes, these hot pools are situated just off the main highway between Queenstown and Mt Cook! Location: 29 Omarama Avenue, Omarama, South Island. Rotorua is New Zealand’s “hot spot” for geothermal activity so naturally, there are a fair few hot pools to enjoy. Hells Gate offers a unique hot pool experience with their hot mud pools! Rotorua mud is said to have all sorts of benefits for your skin and the soul so you can definitely justify a muddy bath at Hells Gate. By the way, you can find plenty of free natural hot springs in the area too. Just follow 5 Free Natural Hot Pools in Rotorua. Location: Tikitere, Rotorua, North Island. New Zealand’s largest hot pool complex is a must for any professional relaxer! The town was even built around the hot pools which feed from natural spring water. More remarkable, the spring water takes 173 years to make its way into the hot pools after it first starts off as snow on the Hanmer Plains. 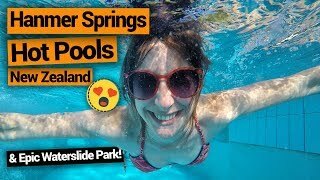 Hanmer Springs Thermal Pools is made up of various hot pools each with their own unique experience, as well as water slides, lazy rivers and all that fun stuff. Check out more things to do in this Canterbury region town in 10 Must-Dos in and Around Hanmer Springs. An extremely affordable off-the-beaten-track location for your New Zealand hot pool experience is at the Morere Hot Pools. This hot pool complex in the Hawke’s Bay region is widely dispersed, connected by bush walks. Once you arrive at your chosen pools, relax among the coastal forest and New Zealand’s largest tract of nikau palm forest. Location: State Highway 2, Morere, North Island. In a geothermal valley between Rotorua and Taupo hides the Waikite Valley Thermal Pools. The hot pools complex uses 100% geothermal water from the Te Manaroa natural boiling spring. You can even walk to the spring source yourself on a geothermal walk at the complex. Or just unwind and take in the amazing bush scenery around you as you relax in one of the many pools. Check out more 20 Awesome Places to Visit in Rotorua. Location: 648 Waikite Valley Road, Rotorua, North Island. Right in the centre of Rotorua, the Polynesian Spa offers a more upmarket experience. Choose from private pools, main public pools or the luxury pools, all with a view overlooking Lake Rotorua. What’s more, the minerals from the Priest Spring and Rachel Spring are said to have therapeutic qualities. Location: Hinemoa Street, Rotorua, North Island. Watch the hot spring water burst from the earth and tumble down silica terraces before you immerse in its waters fed into the Wairakei Terraces hot pools. The water’s have said to healing the bodies and minds of people for centuries. Find the Wairakei Terraces just outside of Taupo. Location: Wairakei, Taupo, North Island. Situated in township of Franz Josef Glacier, the Glacier Hot Pools are the perfect place to unwind after a day of glacier heli-hikes, kayaking on Lake Manapouri, skydiving or whatever your adventure in this famous location on the West Coast. The three main hot pools vary in temperature in its surroundings of native rainforest. Alternatively, private pools are a great option too. Overlooking the vibrant blue waters of Lake Tekapo and surrounded by mountain views, Tekapo Springs is a piece of alpine heaven! Choose from their three main pools or take on one of their seasonal adventures at the complex – ice skating and tubing in winter/giant waterslide in summer. Location: 6 Lakeside Drive, Lake Tekapo, South Island. Just off the Lewis Pass, the Maruia Hot Springs are a great excuse to stop and relax during your South Island road trip. The hot pools have a Japanese theme with both indoor and outdoor hot pools to enjoy, as well as mountain, river and forest views. Location: State Highway 7, Lewis Pass, South Island.